Imagine that. It’s been 20 years since we first opened our doors! Truly amazing. In some ways I can’t believe that I actually took the leap away from the University of Toronto and into entrepreneurship. Lots of sleepless nights went into making that decision. My husband had always said that he never wanted to be an entrepreneur and here I was taking the whole family into this new adventure. For four exciting and exhausting weeks we set up a small office in the basement of our 1950’s bungalow (small being the operative word) and there were three of us trying hard not to trip over one another while getting to the telephone and fax machine. The telephone was the then popular ‘princess’ style in a now unknown shade of lavender, borrowed from one of my teenage daughters bedrooms. After spending the day contacting old colleagues and friends about our new start-up business, and filling orders, my daughters and I would climb into the car and drive to the area where I hoped to locate our new business. We would stop for a promised meal at a fast-food restaurant – my bribe to encourage their participation in this nightly excursion – and then keep looking. After several nights on the road we found the spot we were looking for and contact was made with the real estate agent. They seemed somewhat surprised that we wanted to move in right away. Evidently they were used to a little more notice. What they didn’t know was that in order to use the downstairs shower (and with two teenagers in the house it was used regularly) we had to move stock out of the way! We were anxious to move into more spacious quarters – the sooner the better. The first few months were full of new adventures. We opened our doors while the painters and tile-layers were doing their thing. Our office furniture consisted of folding tables and an odd assortment of chairs and now two princess phones which were quickly replaced by a real phone system. It was actually a lot of fun, a lot of laughter and a whole lot of where was that put? We were blessed to have a visit from a customers one day, Joan Walker, and she ended up coming every day – answering the phone, picking orders, helping customers and generally being a wonderful, much-appreciated help. Members of the team from my old U of T days dropped by and some became permanent employees. In fact, after the first month of so the team was comprised of members of the old group along with another family member. Most were with us for many years, ultimately leaving to retire or for health reasons; one person is still a greatly appreciated member of the team – Irene. We’ve now worked together for over 22 years! It hasn’t always been smooth sailing. We’ve endured two break-ins and had to replace a lot of computer equipment – and beef up the security immensely. And Amazon wiped away a huge part of our business, as it did for most independent booksellers. But we’ve come out of it stronger. We turned a challenge to our operating model into a positive, focusing our energies on assessments, curriculums, workbooks and videos that support the work of career development and human resources professionals and professional coaches. And along the way there’s still lots of laughter and we can’t always find where we’ve put things – and it seems that regular access to cake makes a big difference to our operation too! What a gift this whole process has been for me. Being able to help our clients do the great work that they are doing continues to be very rewarding personally. Yes, it is a lot of work – but how rewarding when we hear that because of something we’ve made available we’ve helped to make a positive impact on someone else’s life. We continue to be very much involved in creating new and different materials in, expanding our market into other parts of the world – there are so many “possibilities” yet to be explored. I don’t think we’ll ever be able to answer the question: “Are we there yet?” In fact, I hope not. In so many ways it feels like we’ve just begun. Thank YOU so much for being part of our team. We could not have done it without YOU – our clients, participants, facilitators and friends. Thank you for your business, your trust and your support. I wonder where the next couple of decades will take us. 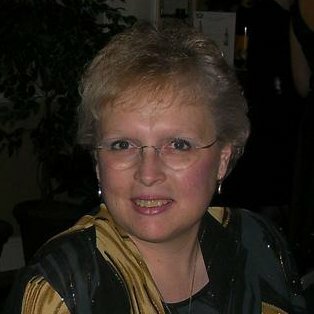 Denise Hughes is the Director and owner of Career/LifeSkills Resources Inc. and general editor of Personality Dimensions® materials and products. She just noticed the calendar and realized it is just past the 42nd anniversary of her introduction to career and type and temperament materials. Those experiences and the expertise she gained through her years with the Guidance Centre, University of Toronto, and now with CLSR, continue to shape the direction that both Career/LifeSkills Resources and Personality Dimensions® take. Posted on September 18, 2018 September 17, 2018 by CLSRPosted in NewsTagged 20th Anniversary, Career Assessments, Career Curriculum, Career Development, Career Videos, Career/LifeSkills Resources Inc., CLSR, Denise Hughes, Guidance Centre, Human Resources, Professional Coaches, U of T, University of Toronto, Vocational Assessment, Workbooks.